The other day I remarked to someone as to how their day job designing games must be the coolest thing ever. In reply this person said, “Well you spend your time writing about dinosaurs. How awesome is that?” Yes, indeed, I need to stop and remind myself that I do have a totally fabulous day job writing about what I love. Better yet is doing the field research. 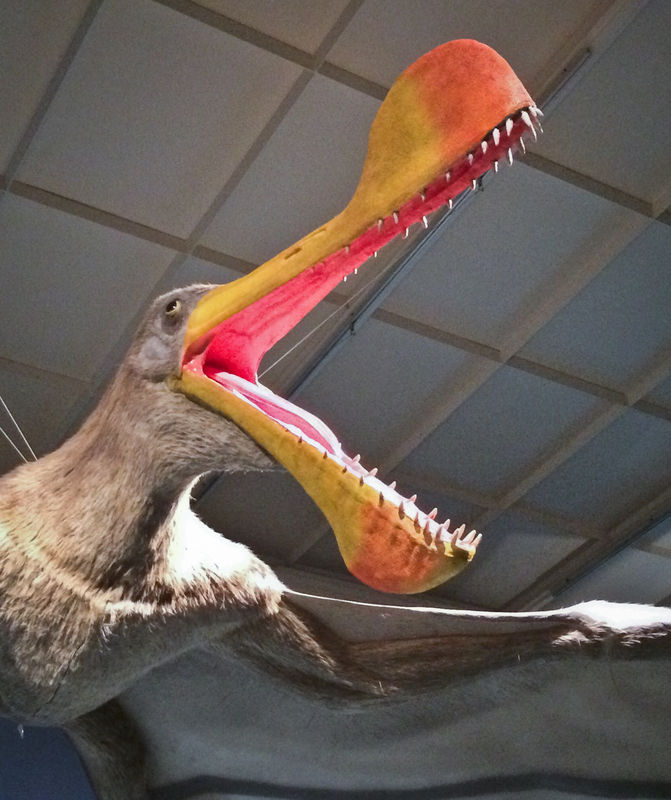 For example, a few weeks ago, I visited the pterosaur exhibit at the Carnegie Museum of Natural History. As I gaped at the full-sized reproductions and fossil casts, and absorbed the explanations as to the differences between a pteranodon wing and that of a bird or a bat, I was grinning from ear to ear. It brought to mind my very first time staring up at a dinosaur fossil at age five. For me, prehistoric creatures are as stirring in 2016 as they were decades ago. 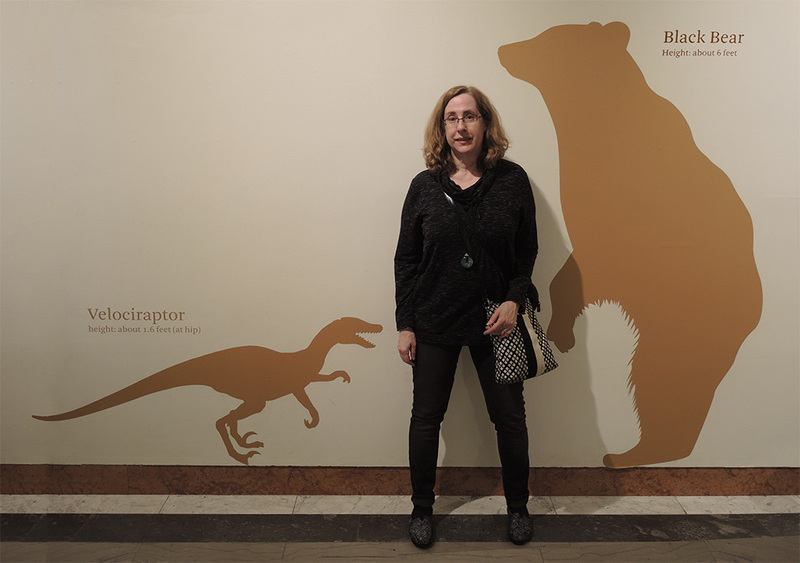 As for the above photo of me, I thought it was interesting to see that velociraptors weren’t particularly large. No doubt they made up for their small stature with lightning reflexes and those sickle claws on their feet.